文献：Saino E, Bloise N, Spinelli L,Effect of Perfusion Culture System on In Vitro Osteogenesis of Human Mesenchymal Stem Cells seeded on Porous Hydroxyapatite. (3). Saino E, Bloise N, Spinelli L, Mantero S, Martinetti R, Imbriani M and Visai L. Effect of Perfusion Culture System on In Vitro Osteogenesis of Human Mesenchymal Stem Cells seeded on Porous Hydroxyapatite. TERMIS EU meeting Granada 2011. Canada. After ten years of research, Kirkstall Ltd. released the Quasi Vivo® advanced cell culture system to provide ‘in-vivo’ like conditions for cell growth. By providing flow of cell culture media the system provides a more physiologically accurate representation than cultures grown in static well plates. 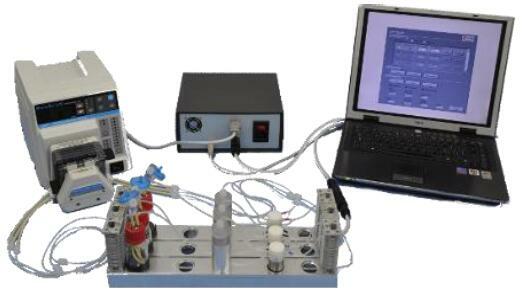 The Quasi Vivo® system consists of a series of cell culture chambers connected through dynamic flow of media throughout the system. This arrangement allows more in-depth studies of interactions between cell types, and supports meso-scale culture systems to provide more physiologically relevant metabolic data not available with conventional in-vitro techniques. Watch the video below for a 5-minute introduction to Quasi Vivo®, a commercially available Milli-fluid interconnected cell culture system that is flexible, easy to use and provides a significantly more human relevant research environment. The QV500 cell culture chamber provides a flexible research tool for low-flow perfusion cell culture. Molded from medical grade silicone, the QV500 is compatible with monolayer cultures using glass and plastic coverslips as well as a range of scaffolds to support 3D cell culture models. The QV600 Air-Liquid Interface (ALI) chamber has been designed to culture skin, respiratory epithelium, and other tissues requiring membrane support using commercially available standard 24 well hanging inserts. The QV600 can also be adapted to create a double cavity chamber to study membrane and barrier models. The QV900 6-chamber optical tray is a compact, disposable unit which provides a range of configuration options within the footprint of a standard well-plate. The QV900 tray is made of cell culture treated polypropylene and each chamber is the diameter of a standard well of a 24-well cell culture plate. 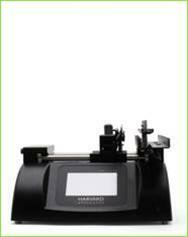 Parker Polyflex 6-channel peristaltic pump: 6 parallel channel peristaltic pump. Compatible with humidified incubators, manual control. Power supply accepts any voltage 100-240V. Parker Polyflex 2-channel peristaltic pump: 2 independently controlled pump heads, compatible with humidified incubators, manual controls, dimensions (cm) h:10.5, w 19.5, d 17. 100-120V power. We carry the components necessary to replace used parts. Visit the Lonza e-store to place your order online or contact Customer Service at (800)638-8174. Each manual contains detailed instructions on the use of the corresponding product. A series of short videos with Quasi Vivo® users to find out why they use our interconnected flow system within their research. A poster that demonstrates how the Quasi Vivo system improves gene expression for many cell types, including hepatocytes. 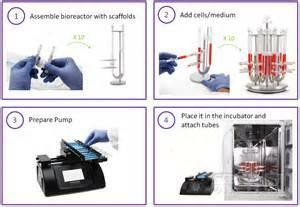 The Ucup perfusion bioreactor is a user-friendly tool to establish and control your 3D cell and tissue cultures. Ucup has been specifically designed to be used by any scientist or lab technician working in the life science related field, without necessarily requiring any previous experience with the use of bioreactors. Apply instantly your current cell culture concepts and simply let Ucup further extend them by performing the seamless transition to the 3D context. The driving force of the system. 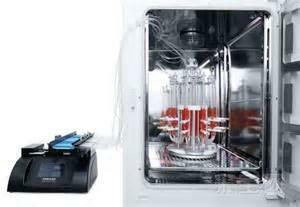 It generates the oscillating fluid flow of the cell/medium suspension. It cannot be purchased separately. 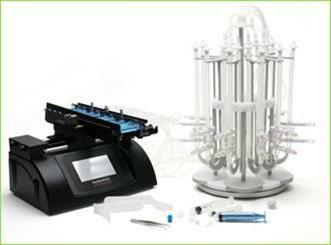 A rotating rack for easy and correct positioning of Ucup disposable bioreactors. It can also be purchased separately. The central core of the system. It is disposable and it comes with 10x adaptors to fit the specific size of your scaffolds. Scaffolds can also be purchased separately. 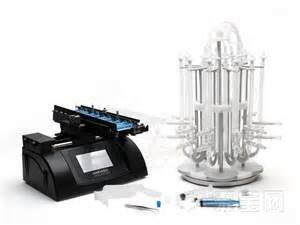 It provides all what you need to start your 3D cell cultures. Additional accessories (e.g. 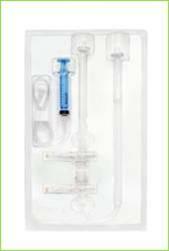 forceps, syringes) and testing units are also included. The performance of Ucup has been extensively validated and certified by scientific publications in peer-review journals. If you are convinced of the benefits that a 3D culture environment can provide,the Ucup bioreactor is the essential tool to conduct with your experiments.